DAN FEIGELSON is a literacy consultant who specializes in all aspects of reading and writing workshop, grades 2-8. He has worked extensively in New York City schools as a principal, teacher, staff developer, curriculum writer, and local superintendent. An early member of the Teachers College Reading and Writing Project (led by Lucy Calkins and Shelley Harwayne), Mr Feigelson served as a fellow at the University of Pittsburgh's Institute for Learning, where he helped develop literacy standards for New York and other cities. 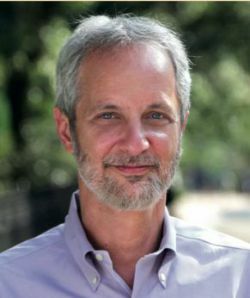 He is featured in several instructional videos and web materials, and has led institutes,workshops and lab-sites around the world on the teaching of reading and writing. A regular presenter at national and international conferences, Mr Feigelson is the author of Reading Projects Reimagined: Student Driven Conferences To Deepen Critical Thinking (Heinemann 2015) and Practical Punctuation: Lessons In Rule Making and Rule Breaking For Elementary Writers (Heinemann, 2008). He lives in Harlem and Columbia County, New York.